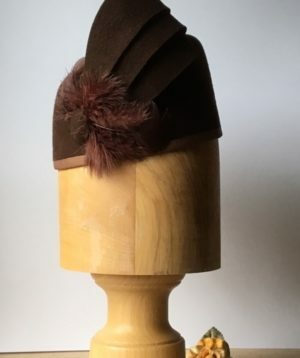 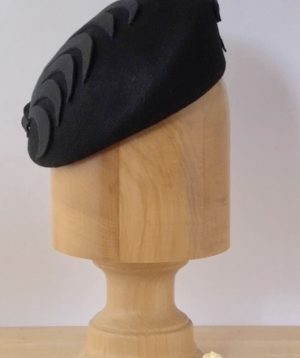 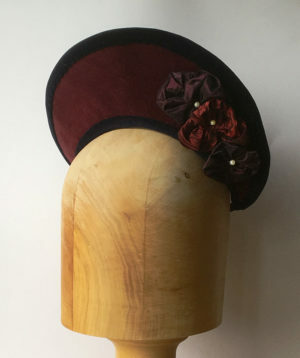 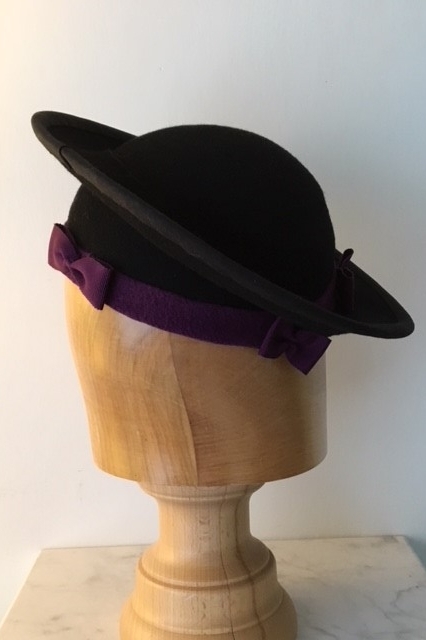 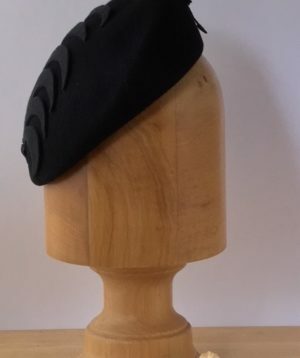 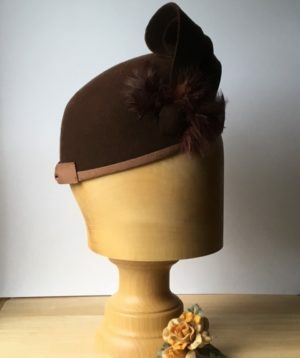 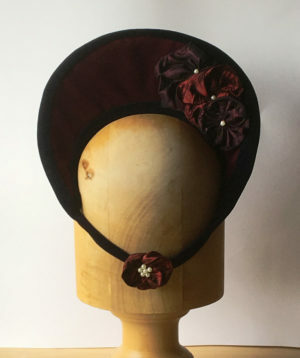 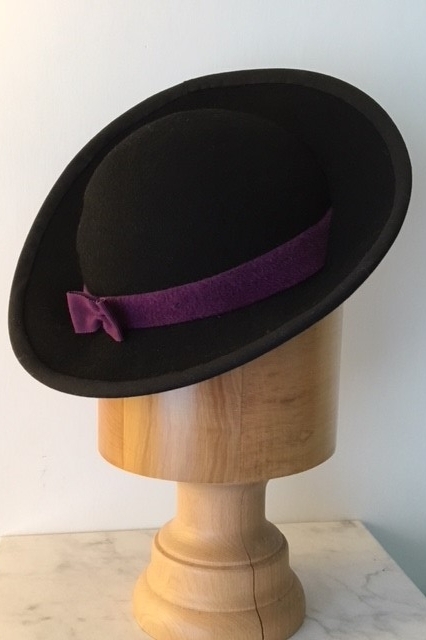 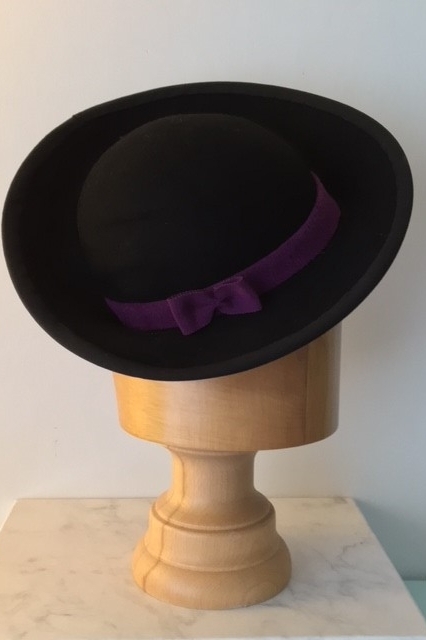 A popular black felt tilt hat with crown showing. 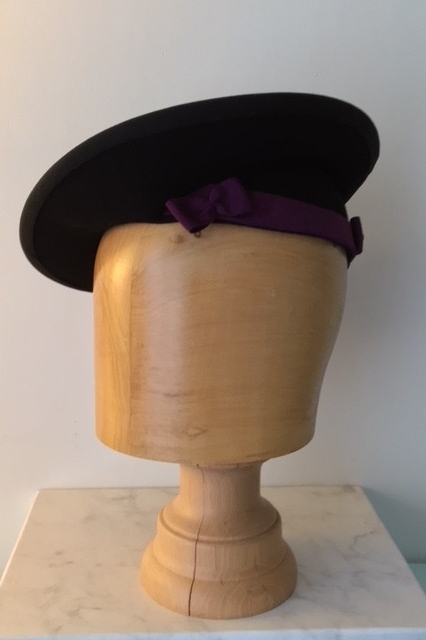 Crown is finished with a purple grosgrain ribbon and fixed with four grosgrain bows. 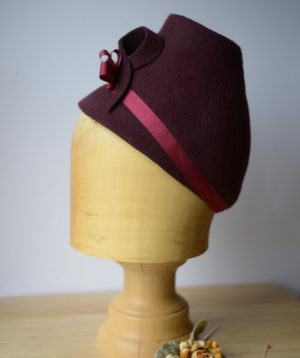 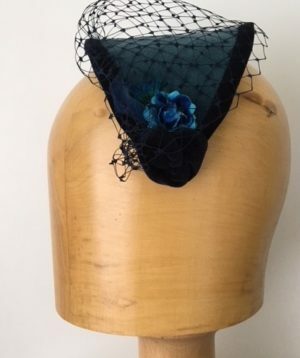 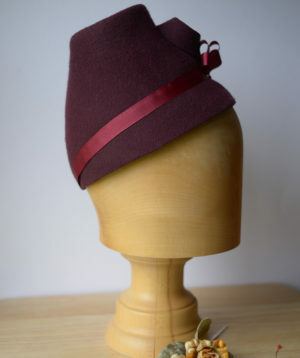 Hat is edged with black bias binding.